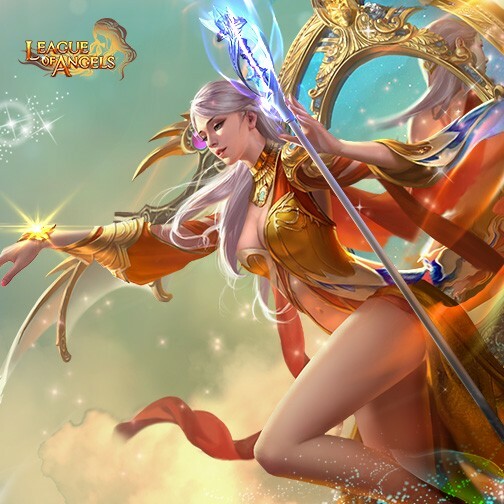 The Rio 2016 Summer Olympics has officially begun and League of Angels, the award-winning browser MMORPG, is continuing its Olympic themed events throughout this special occasion. Today LoA is happy to announce the release of a brand new Angel: Elianna! As the successor of one of the most ancient Angel bloodlines, Elianna was personally appointed by the Creator to be the “Aspect of Truth”. She was given the holy relic “The Divine Mirror” to uphold her role among the Angels. This relic has the ability to see the true nature of all things; nothing, Angel or Demon, can escape its power. Elianna’s unique Angel skill is called Skylight Mirror. Using the power of her holy relic, Elianna deals a large amount of magic damage to all enemies while buffing the party’s attack, dodge, and agility by a significant amount for 3 turns. This skill also cannot miss so it is guaranteed to have an impact on the battle. We hope players will welcome Elianna to the League of Angels. Play LoA now and see how this new Angel can improve your party. Please look forward to more Olympic-themed content coming right around the corner, and enjoy the Summer Games with LoA this summer!